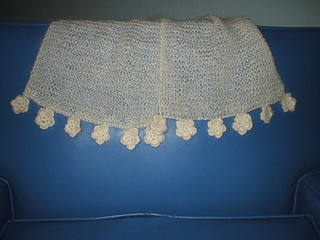 This pattern is available from store.vogueknitting.com for $5.00. Garter stitch scarf with crocheted flowers. Worked in a garter stitch, this loose-knit, luxurious scarf is adorned with Irish-crochet flowers at either end.